Everyone knows that crime rates soar in the summer, and this one is no different. Except this summer’s most gruesome murders are being committed by The Son of Sam, The Boston Strangler, Ted Bundy and Geoffrey Dahmer… all at the same time. 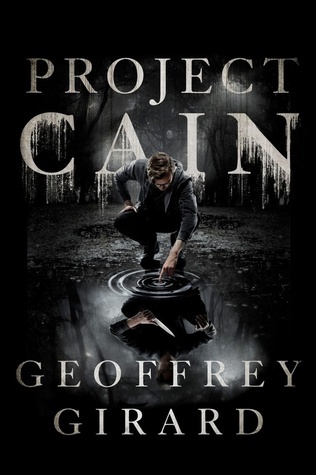 These teen versions are killing machines bred by the government in a cloning experiment, then set free by the geneticist who created them, who himself believes that he is descended from Jack the Ripper. Only Jeff Jacobson knows the truth of what happened. Raised by the geneticist who released the other killers, and completely ignorant of the fact that he himself is a Dahmer clone, Jeff discovers the truth when he finds a grisly token in his father’s closet. Now, his peaceful nature is at war with the questions of his genetic makeup. Is he an infamous cannibal-killer, or is he just Jeff, a confused and orphaned boy suddenly tossed into the middle of a violent game? The clones want Jeff with them, fulfilling his dark destiny. The government wants the clones silenced, their deeds done, and an agent is sent to eliminate them before their existence is discovered. As the government killer hits the road with Jeff to track down the most heinous criminals of all time, he isn’t sure which side of Jeff will win out… and neither is Jeff. Hmmm, this has piqued my interest! This is going on the list of books I want to read by New Years. God, why are there so many good reads out here? Or maybe I'm just obsessed with books. Never feel bad about books, Rissa!